Do you want to dress like a yoga superstar? Then you're in luck! 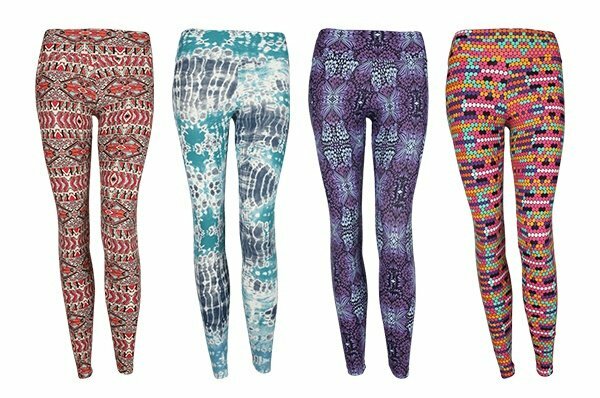 This week, DOYOUYOGA has teamed up with Liquido Om Stars, Kino MacGregor, and Kerri Verna to give three lucky DYY readers a pair of Liquido Om Star leggings. With their buttery soft fabric and super cool limited edition prints, you're sure to love your new leggings, and look like a star in them, too. These leggings don't just look cool, they're functional as well. They're made with Active LYCRA Fibre Technology, are 50+ UVA/UVB protective, and are water-friendly and quick drying. You too can be a Beach Yoga Girl in these awesome Liquido leggings. Alternatively, you can post a photo tagging @doyouyoga and @liquidoactive on Instagram! The giveaway runs from Monday, February 8th to Friday, February 12th, 2016. On Friday, February 12th, three random participants will be chosen to win one pair of Liquido Om Star leggings each. So make sure to share and comment to enter! Congratulations to @yogamomma04, @jennsmyth, and @superpinktinee for winning this week's giveaway!